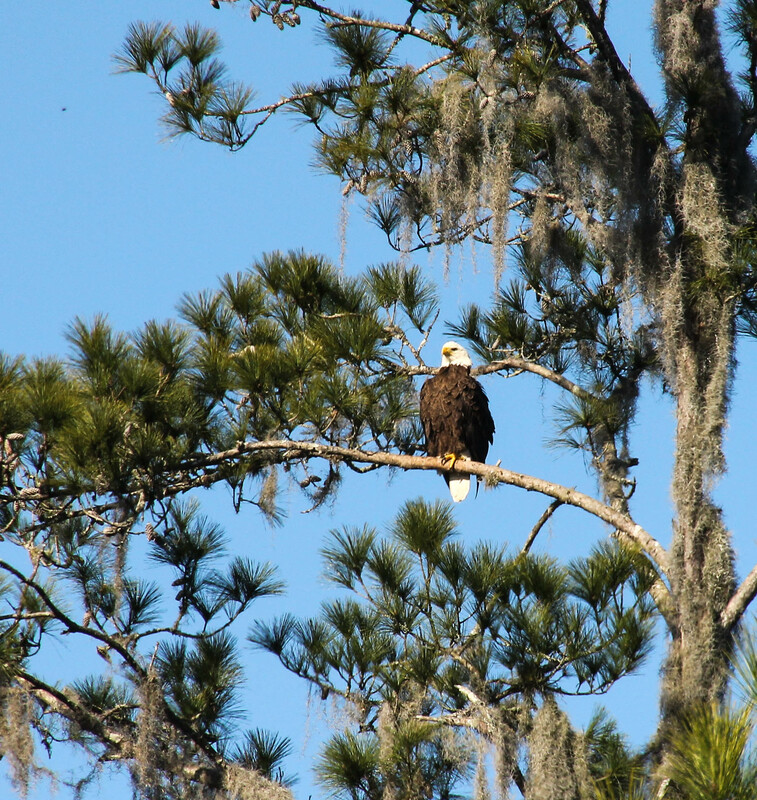 The American bald eagle was adopted as the national bird symbol of the United States of America in 1782. The bald eagle (Haliaeetus Leucocephalus) was chosen for its majestic beauty, great strength, long life, and because it’s native to North America. A Bald Eagle sitting high up on a cliff. Across the road are several lagoons. People told us two were in the area and they would see them fly over the water early in the mornings and late in the evenings. After a while, he decided to take flight. 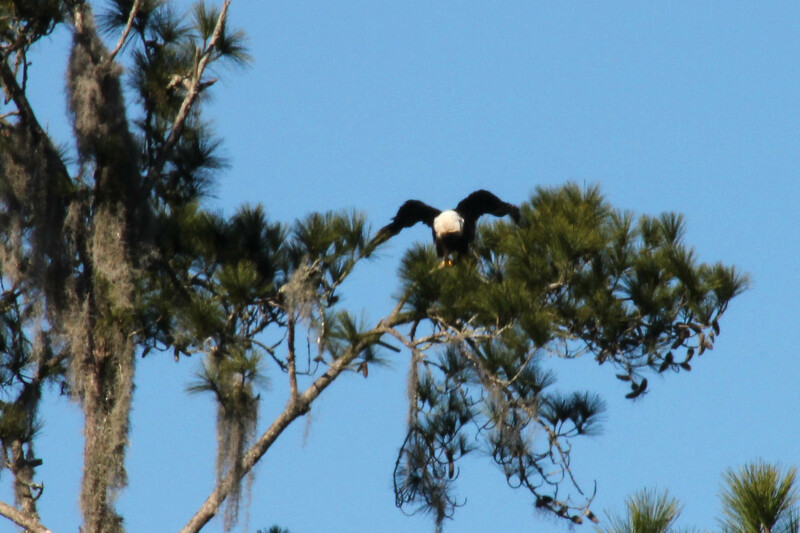 A feel fortunate to have captured this majestic Bald Eagle. Coming up: The Painted Desert National Park, a train ride, and a Christmas dinner show. 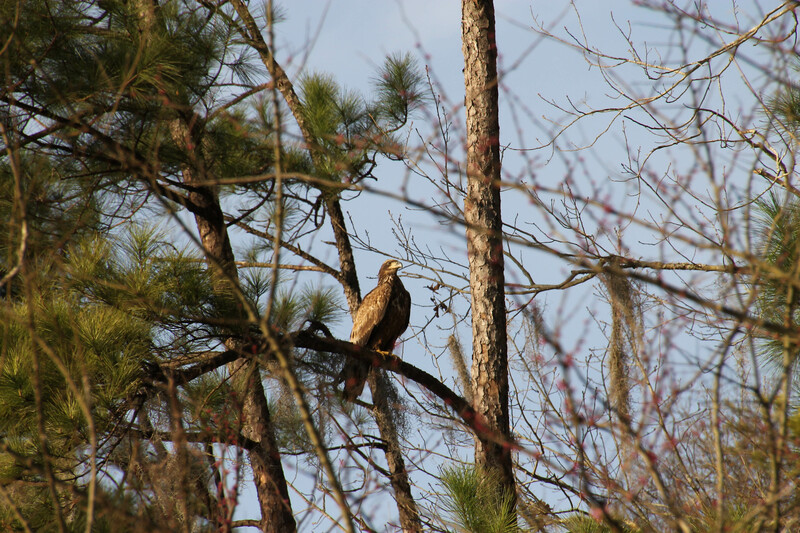 As we continued down the path, on our hike, we see an Eagle circling high in the air. 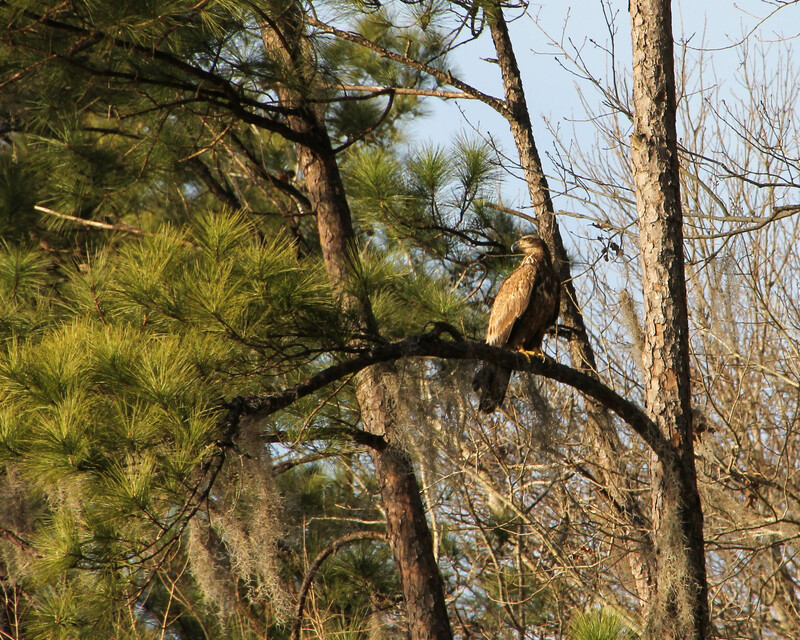 All of a sudden the Eagle tucks its wings and begins to dive straight at the Red-shouldered Hawk. Thank goodness the Eagle does not strike the Hawk. 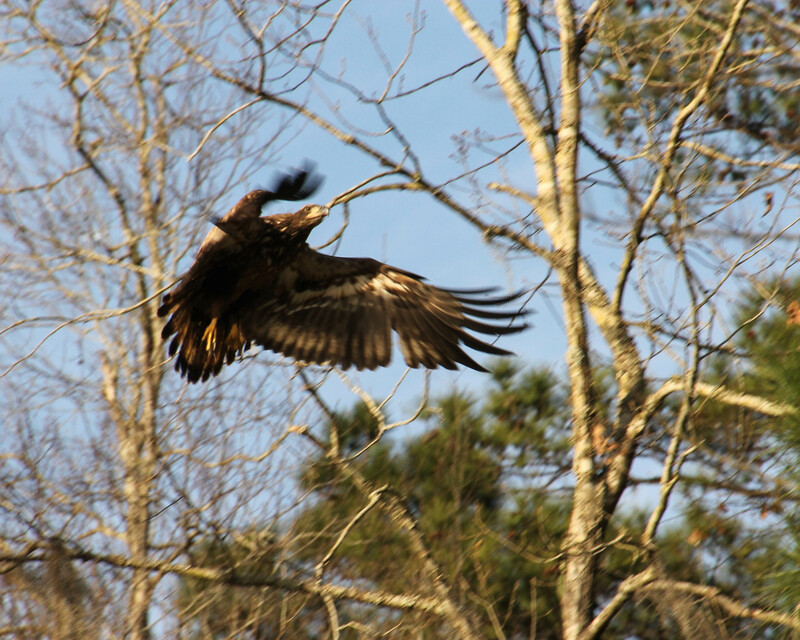 The Hawk flies up into the air and into the woods, the Eagle gives chase. We never saw the Hawk again. The poor Hawk was only trying to catch one Coot! Gee, so many Coots, why can’t you share? 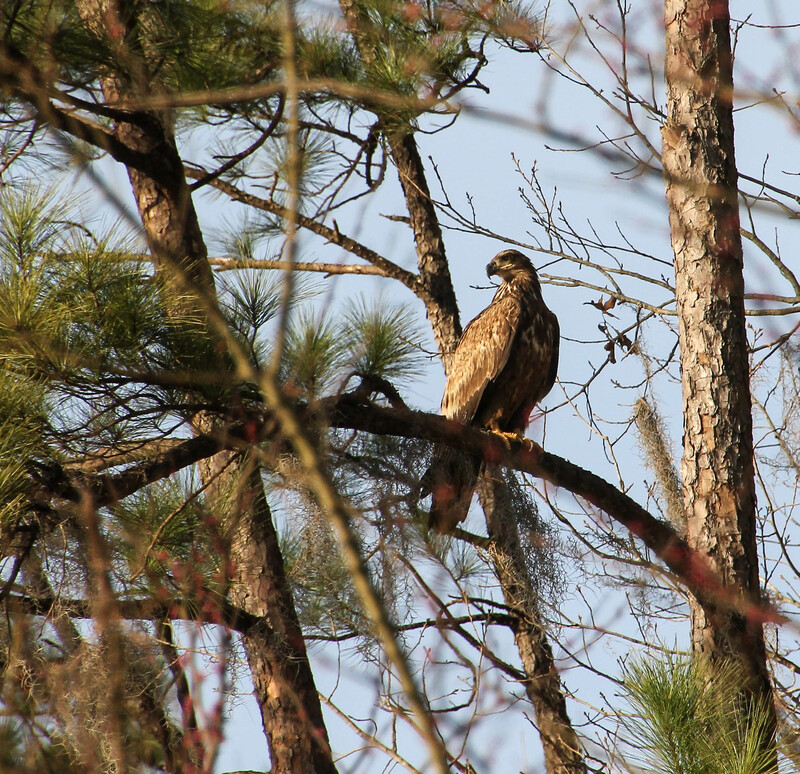 The Eagle then perches in a tree looking around, we think, making sure the Hawk doesn’t come back into its territory. 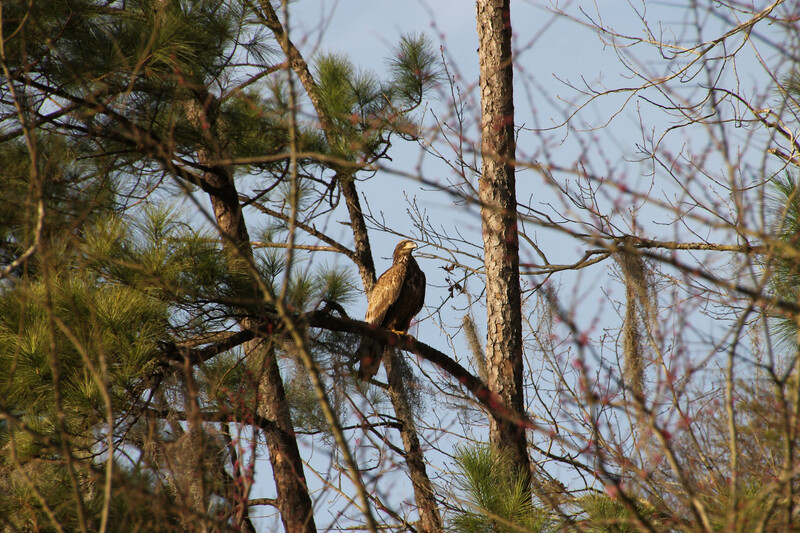 The Eagle sits in a tree for a few minutes, which gives me the opportunity to take a few photos. 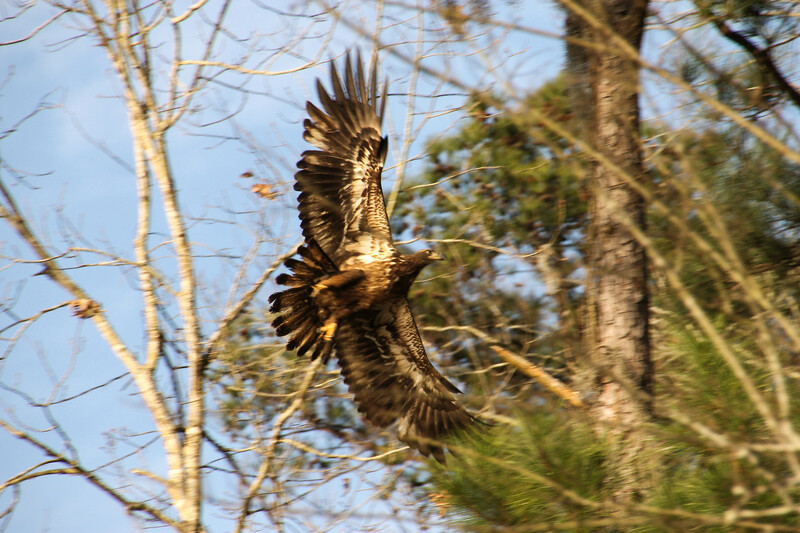 As the Eagle flies away you get a nice view of the underside of its wings. This Bald Eagle sure makes a large shadow. I beautiful Bald Eagle, obviously less than five years old! 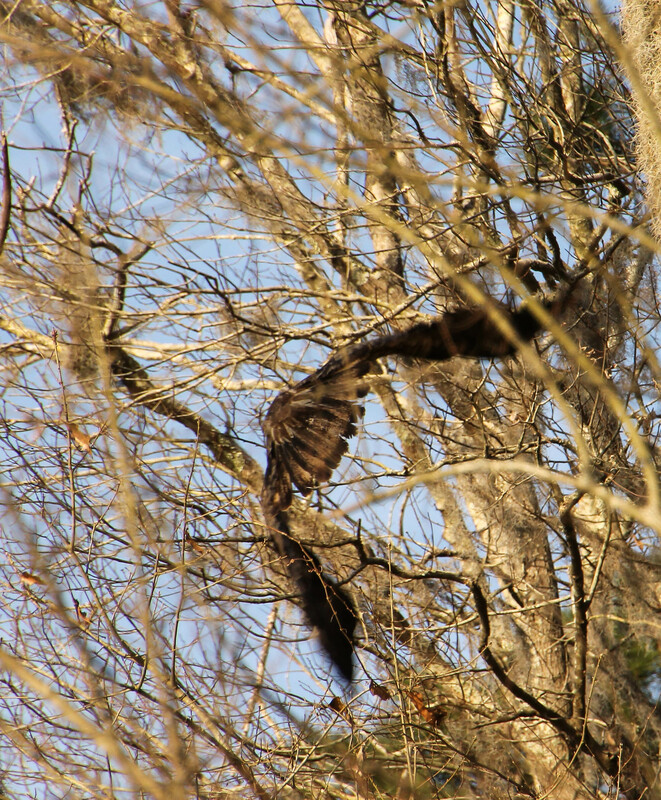 I would guess at least 2nd year Bald Eagle. However, my photos of them might not! 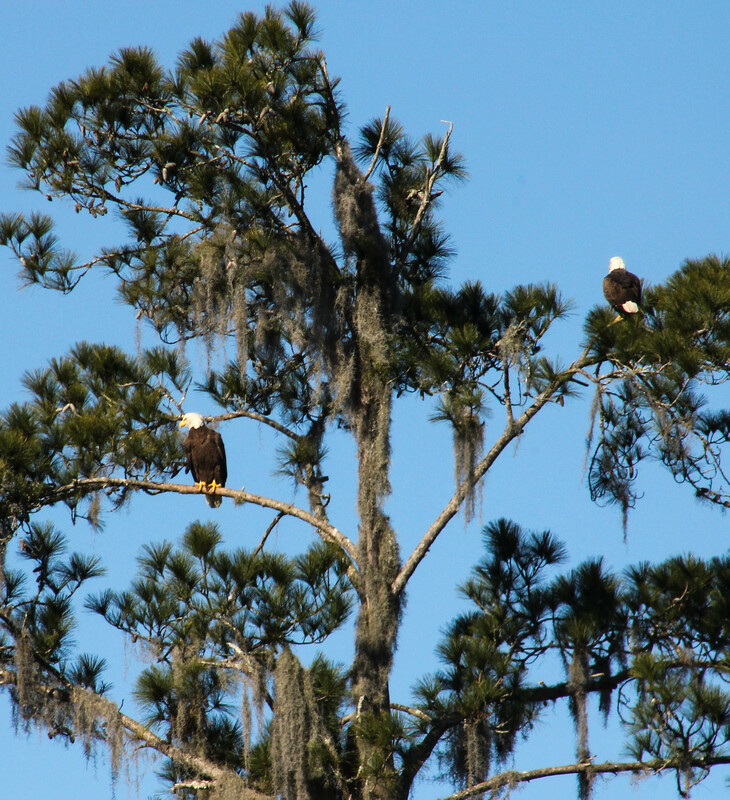 Sunday morning, when we were getting ready to leave Rainbow Springs State Park and drive over to Silver River State Park, this pair of Bald Eagles flew into a tree right in the campground. 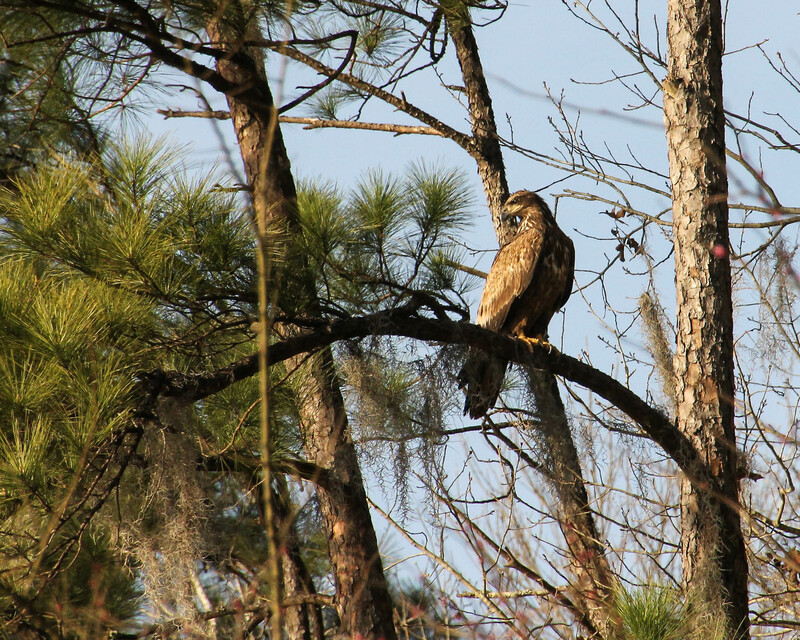 I was told, by a campground host, that this is their fourth year to build a nest in the park. The pine tree they were sitting in was huge and my camera lens – not so huge. However, it was exciting seeing them!